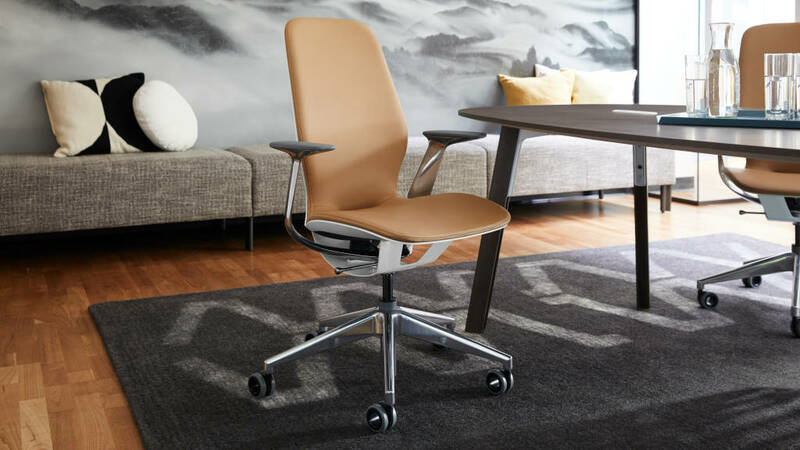 GRAND RAPIDS, MI, March 25, 2019 – The Steelcase® SILQ™ chair, a breakthrough in seating design, has won the Red Dot Award: Product Design 2019. The chair, created to respond intuitively to movement of the body, earned the Red Dot: Best of the Best, which the renowned jury only awards to products that feature an outstanding design. SILQ was created through an innovation in materials science. Through a patent-pending process, Steelcase designers and engineers created a new high-performance polymer material that emulates the qualities of carbon fiber. This material, combined with the arched silhouette of the design, allows SILQ to respond to natural movements of the human body without the mechanisms typically required in high-performance seating designed for the workplace. The result is a chair that behaves more like an organism than a machine – a new archetype in office seating. The Red Dot Award: Product Design is one of the world’s largest design competitions. For over 60 years, an international jury comprised of experienced experts from different disciplines convenes to select the year’s best designs. Their assessment focuses on criteria such as the level of innovation, functionality, formal quality, longevity and ergonomics. In 2019, designers and manufacturers from 55 countries entered more than 5,500 products in the competition. The Red Dot: Best of the Best only went to 1.5% of the entries this year – a testament to their unparalleled design. Steelcase will celebrate the success of SILQ and join the many other recipients at the Red Dot Gala on July 8, 2019. Awards will be presented on stage at Essen’s Aalto-Theater and award-winning products will be displayed in the exhibition “Design on Stage” in the Red Dot Design Museum Essen. From that date, SILQ will also be on show in the Red Dot Design Yearbook, online and in the Red Dot Design App.